The Schuyler Arms is an 84 unit Co-op that reflects the diversity of our Upper West Side neighborhood. 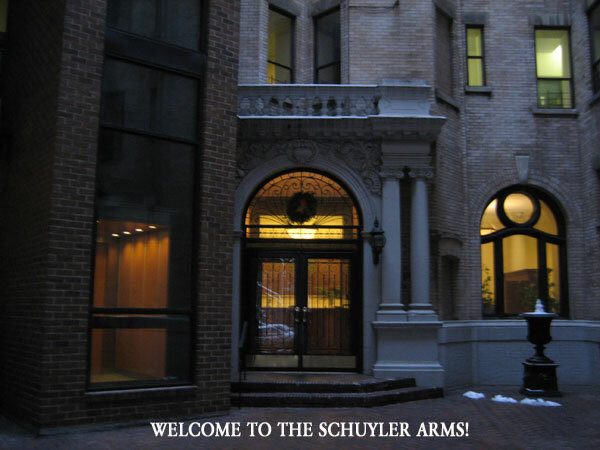 Three beautiful pre-war buildings were combined in 1981 to become The Schuyler Arms. We are located on quiet and lovely West 98th Street, steps from Riverside Park, Broadway shopping, and transportation. Our Co-op has a live-in super and 24-hour concierge, is in superb structural and financial condition, and is 100% owner-occupied. Schuyler Arms residents truly value and support their residential community, making it a wonderful place to live!